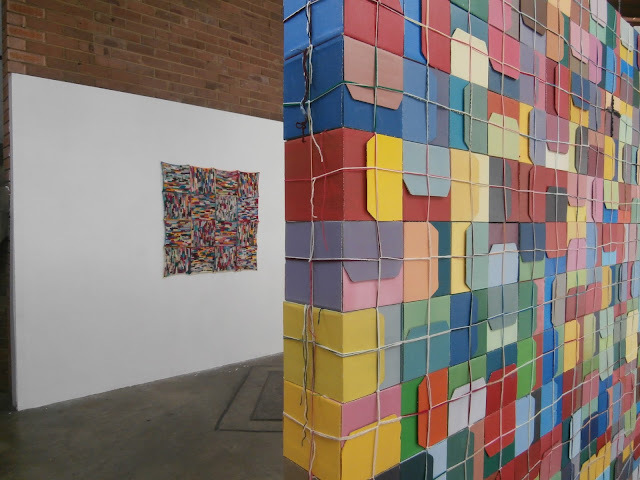 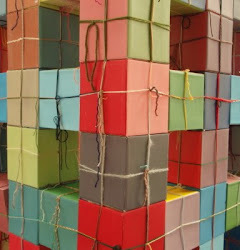 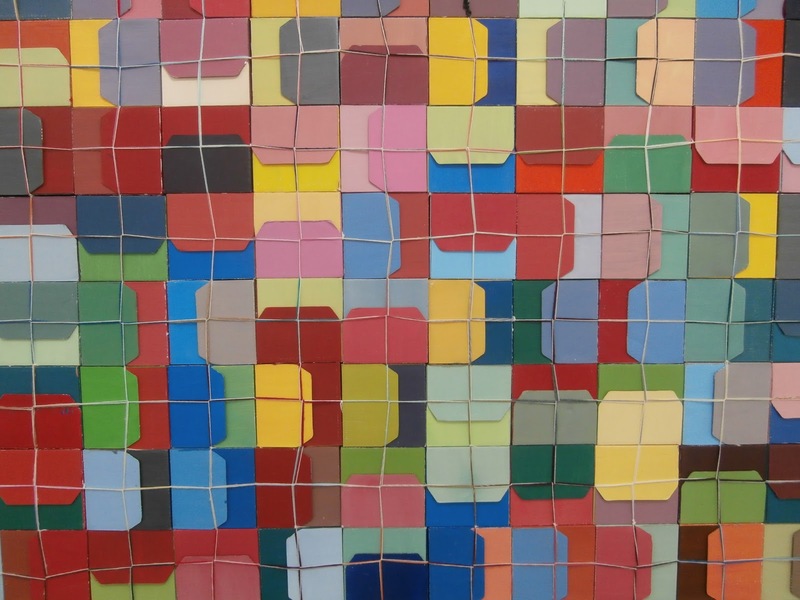 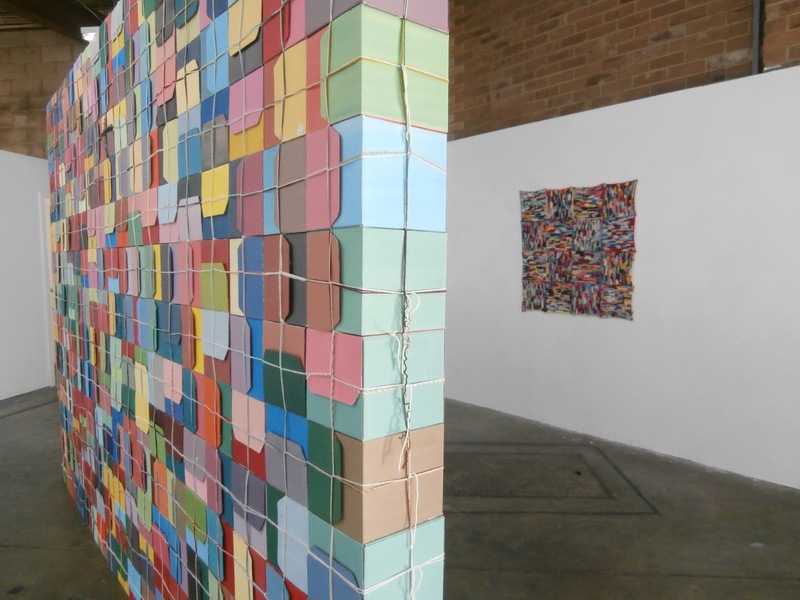 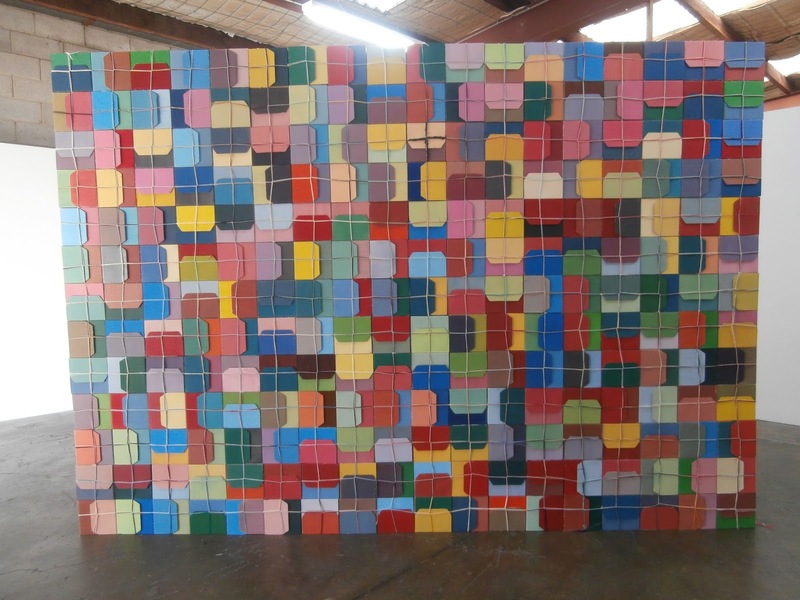 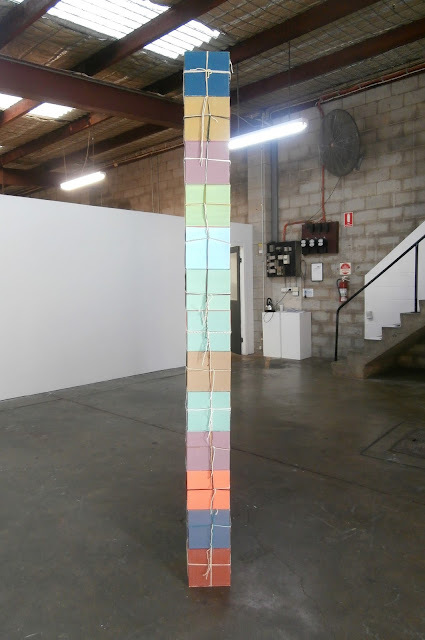 "Wall Work" was a solid wall of cardboard cubes tied together with yarn. 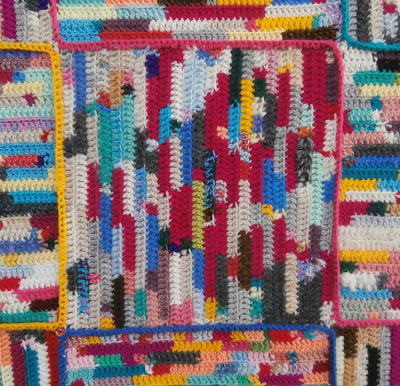 It was the first time that I had exposed the 'ends' of the boxes where the overlapping flaps created a greater variation of colour. 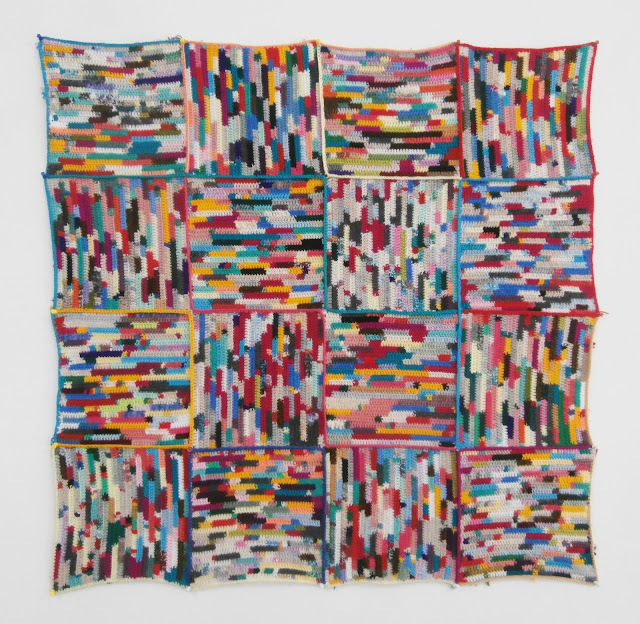 As usual, the arrangements of colour were random, as was the 'orientation' of the overlapping ends. 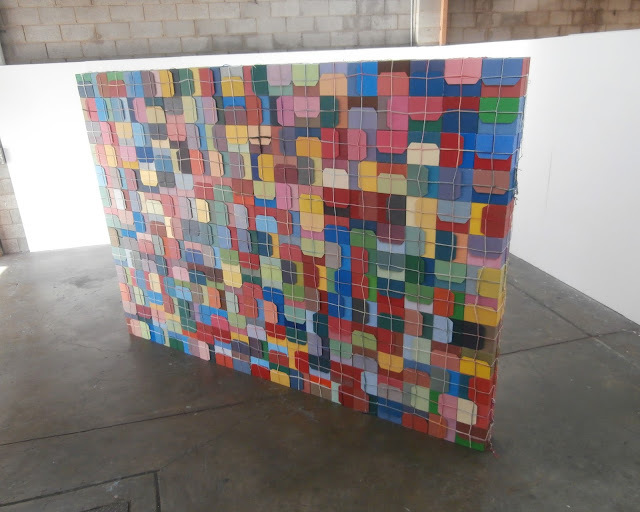 It was also just a single layer of boxes with no corners or turns, so was a bit of an experiment as to whether it would stay upright throughout the exhibition as it depended entirely on its own balance. 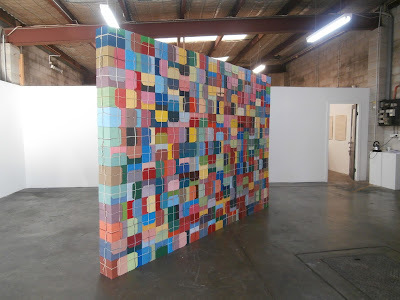 I exhibited alongside it "Wall Work-Yarn" - a crocheted piece constructed from the discarded yarn of previous cube works. 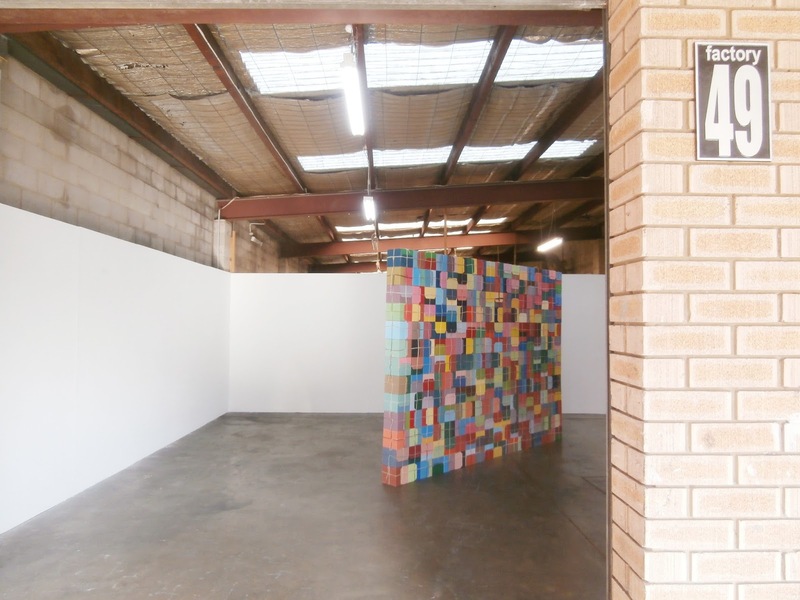 CLICK HERE for a video of the exhibition and CLICK HERE for the catalogue.